Sielox LLC offers a wide selection of video surveillance products through its relationship with Costar Video Systems. The extensive product line includes cameras, monitors, camera housings, power supplies, high-speed domes, controllers, and analog and digital video recorders – all available at highly competitive price points. Pinnacle Argos Video, a web-based application that integrates events from our Pinnacle™ Access Control Software Platform with Costar’s line of DVRs and NVRs. A Sielox Pinnacle Access Control System with Argos Video Interface provides the first 32 Camera licenses for free with no recurring driver or camera license fees. Event Video Link is a feature in Pinnacle Access Control Software Platform that links to any DVR or NVR, that supports the industry ATM/POS standard, enabling the ability to link access control events to video for pop-ups, viewing and real-time recording. This feature also allows the user to mark video events with alarm text-data for legal forensic requirements. Our Pinnacle Access Control Software Platform also integrates with Kaplogic Aegis3 PSIM (Physical Security Information Management software), a graphical command and control software package which supports multiple workstations. Users have the ability to add cameras, intercoms, doors, readers, inputs/outputs to a graphical map, then control them with the click of a mouse. Aegis3 integrates with most major surveillance and DVR manufacturers. Sielox offers Costar Video Systems DVRs, NVRs, IP Cameras, Analog Cameras, and HD over Coax cameras. Costar recorders can scale to meet the needs of any customer. From small four channel solutions to enterprise-wide video solutions. Storage can be customized to fit any job and can be extended if needed. Costar’s recorders allow the convergence of analog and network camera video streams to be monitored and viewed on the same screen. This technology allows users to continue using analog cameras and upgrade to network cameras as desired. Analog and IP Camera solutions are also available in dome, box, bullet, PTZ, and other specialty camera housings. These network cameras use megapixel technology to provide higher resolution video with more image detail and have the ability to be powered over the network with Power over Ethernet (POE). 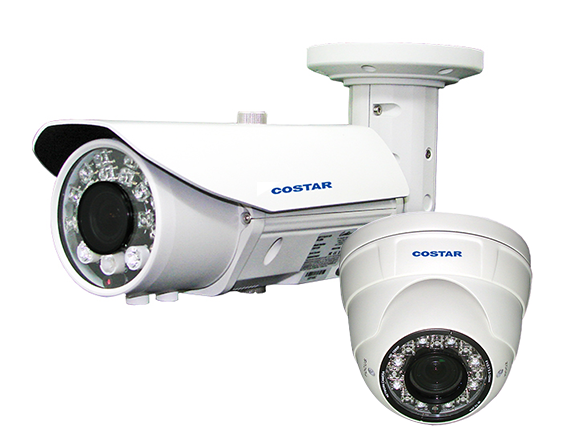 Costar’s network cameras are available in a wide variety of configurations. 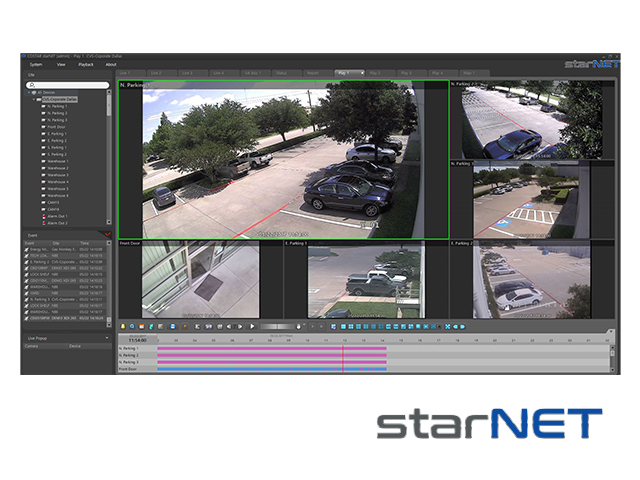 Costar Video Systems StarNET, is the latest Video Management Software (VMS). With powerful processing capabilities to manage multiple video streams from both analog, HD-TVI, and IP cameras. The StarNET platforms is a decentralized management structure and do not require a central point of access. The Client can be loaded on an unlimited number of computers and each user can customize their client based on their personal requirements. StarNET allows users to not only view both live and recorded images but quickly produce self-extractable video files that are universally portable to other computers without the need to load any special viewing software. Powerful visual reference maps allow the user to quickly view thumbnail displays of live images embedded within the map as well as link up to 64 map layers together. Multiple views can be displayed on multiple monitors simultaneously, including live viewing, playback, and features such as interactive mapping, and advanced management tool to monitor the health and generate status reports.